Fri., Jan. 19, 2018, 6 a.m. The survey, conducted by the University of Washington’s Alcohol and Drug Abuse Institute, surveyed drug users at 25 needle exchanges around the state in the fall of 2017, including 48 people in Spokane County. There’s significant overlap between heroin and methamphetamine users, something that’s reflected both in needle exchange user data and drug overdose deaths, where the two are often mixed. Eight-nine percent of heroin users said they’d also used another drug in the past three months. Meth was the most common of those, followed by a mix of the two drugs. The survey didn’t ask about marijuana or alcohol use. “Most heroin users use a lot of stuff, and many of them use meth,” said Caleb Banta-Green, the main researcher at ADAI. Many comments in the survey echoed that, with respondents saying the two basically go together, especially on the street. 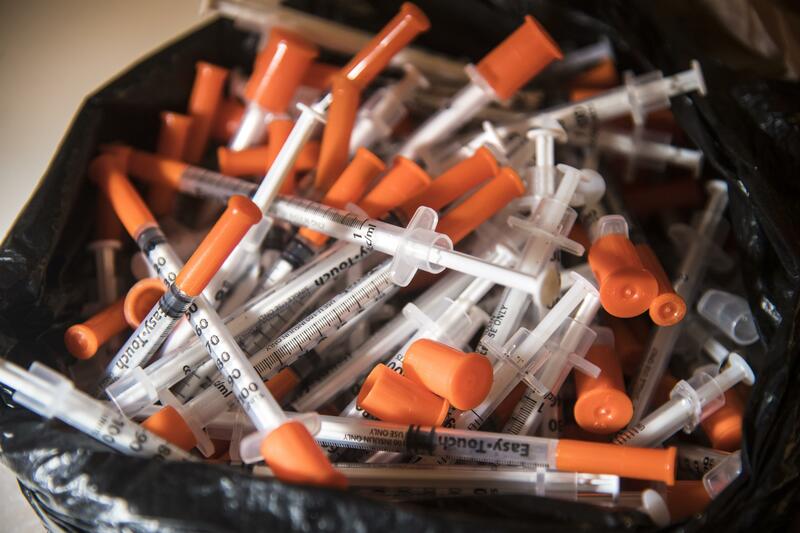 Lynn Everson, who runs the Spokane Regional Health District’s needle exchange program, said the group surveyed is a small proportion of the people they serve. A slow day at the exchange might see 35 or 40 people exchange about 3,000 needles in two hours, while a busier day can be about 60 people and closer to 5,000 needles. But she said the rise in methamphetamine use is happening in Spokane as well. She estimates about 60 percent of her clients chiefly use meth. A few years ago, it was closer to 40 percent. The shift is partially because more heroin users have gotten into the health district’s methadone treatment program, which has expanded significantly in recent years. “A lot of the folks who are coming here and had been coming here for a long time…are no longer using our services because they’re using the methadone clinic,” Everson said. The increase in meth usage correlates with a rise in homelessness both in Spokane County and statewide. About a third of people who took the survey were homeless, and another third had temporary or unstable housing. Neither Banta-Green or Everson said they could be sure the two were linked. But meth use is common among homeless people because of its functional effects, Banta-Green said. The number of drug users who have access to naloxone, an opioid overdose-reversal drug, has more than doubled since 2015. Outside King County, 59 percent of opioid users surveyed had a naloxone kit, up from 24 percent. A significant majority, 89 percent, had health insurance, mostly through Medicaid. But 59 percent reported they didn’t access needed health care in the past year, mostly because they didn’t like doctors or feared they would be lectured or judged about drug use. Cost was cited by only 12 percent of people who didn’t seek care. Many users, especially those chiefly using heroin, were interested in treatment to stop or reduce their drug use. A majority said they wanted access to medication-assisted treatment using suboxone or methadone to help them stop illicit drug use. But most listed their chief health concern as something other than drug use, including mental health, pain, respiratory illness or chronic illnesses. Banta-Green said he hopes the survey will help public health and treatment programs reach drug addicts where they are, and show what options people might want. For many people, chronic illnesses or homelessness are more acute crises than their drug use, he said. “These are complex people and they’ve got a lot of stuff going on,” he said. Published: Jan. 19, 2018, 6 a.m.